Here are the success factors that I’ve identified in a variety of projects for a digital transformation to actually work. If you want to read how to do a digital transformation, please read my article on a business leader’s blue print for a digital transformation first. Going digital for a company which isn’t so far, is not about doing fancy projects or playing around with some new technology as I’ve repeatedly stressed out (although such projects might be a good way to kick off the change and to drive innovation). No, it’s about changing your DNA to become a true hybrid player. This is a fundamental transformation and really needs proper change management. Don’t make a digital strategy. This might sound obvious at first, but I keep being surprised how little some business leaders understand about what pieces are strategic nowadays and how willingly they outsource this thinking to some consultants or delegate it to a department. Although you must get creative ideas, new technology and maybe intelligence in from the outside, it’s really your job as a business leader to do the thinking about how to transform your business. If this is not really and properly your own baby, driven from the inside and top-down, the transformation is not going to happen or is doomed to fail. Many established businesses must actually learn what goes without saying for just about every startup: You really really really need to start thinking from the customer and his needs. All the time. No matter whether it’s about top-level strategy or nitty-gritty operations. The value proposition is what people actually perceive as added value from using your products or services over the competition’s. It’s not necessarily what you think is the value you create. I have seen large organizations that didn’t realize that the perceived value on the customer’s side had greatly changed in the digital age, taking away their traditional reason to exist and leading them to oblivion. If you fail to recognize what is actually value creating you will also fail to correctly focus your business activities. This is not easy if true innovation is involved because there is only little to learn from market research. This is why it is so crucial to get out with a MVP as soon as possible (see below under 7). Many top managers seem not to understand the strategic importance of the value proposition. To define it is really your job as a business leader. This is why this is not something you should delegate to your marketing (or digital) department or to some consultants, although such people should participate in the process. IT goes withoit saying that digital is not an IT project. It’s also an illusion to go digital by just hiring a consulting firm or tech people to do some programming. Of course you will need this. But what you will need foremost is someone who really understands how business works in the digital age. And if you are about to transform your business: You’ll need someone who also knows how change management works in the digital age. This person must become a true part of and therefore be within your organization (if it’s not yourself who is deiving the process with utmost pruority). Also, she must be truly empowered, not just attached somewhere on level 2 or 3 of your organization. Otherwise she cannot achieve the change impact that is required from point 1, being serious about it. Profile-wise, you need someone who is able to understand how business as a system works. This includes the areas of sourcing, production, product development, HR, as well as branding, marketing & sales. I would start looking for digital entrepreneurs with corporate experience, not people with a background purely in agencies, IT, e-commerce or consulting, because none of them really knows from experience what it takes to run a digital business. Once you do feel confident about your Minimum Viable Product you’ll need to be extremely focused and stubborn with it. Just because your MVP will probably not be as simple as the one of a startup, it’s probable that you can’t just test it with an easy work-around solution (if you can; you’re lucky, go for it). You will need to do this as simple, as quickly and as cheap as possible. But even if you adhere to the lean principle, it will probably take you some time to get there. If you’re not totally stubborn and put pressure on, you will loose track on the way. You will need some true innovation in this process. This is not something most companies are good at. Therefore you will need to create a governance setup where innovation can happen. a startup that you acquire by acquihire to assure exclusivity and to get the right skills in. Which approach is most promising for a particular company is very particular. What I did observe however is that in none of the established companies I know internal departments have managed to develop a successful MVP. Getting that MVP down on the road is a seriously tough challenge for most companies. Unless you are in an organization which has top-notch software development in-house and also is totally agile, it’s most probably better to get the technology in from the outside. Whether that’s from a supplier or whether that’s a startup that you acquire really depends on the particular situation. I would argue however that in most cases both approaches are superior to doing the development internally. The first thing I would do, is screening the startup scene globally for guys who do exactly what you need and either buy their products, or their company. It’s the simple rule of the big number: There are dozens of thousands of highly creative startups out there. Even if you’ve had thousands of creative engineers on the inside, you can’t match the global startups’ vast creative potential, which is “out of the box” by definition. This might run against many top managers common sense which says that if something is important, you should throw budget at it. 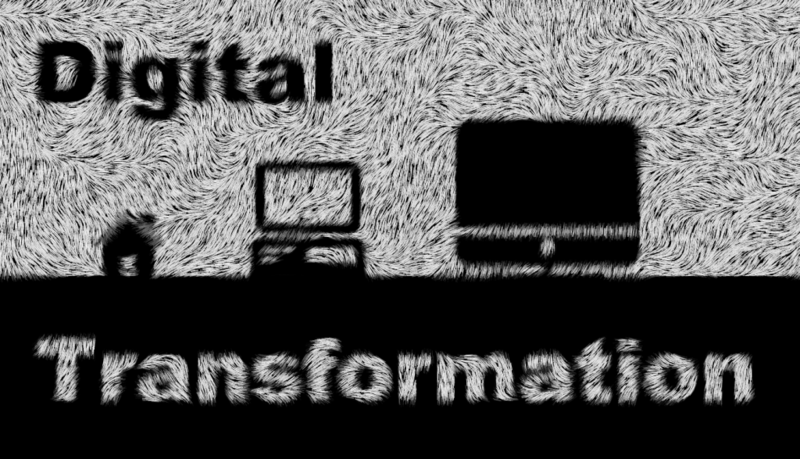 With regard to a digital transformation I say: Don’t. I’ve repeatedly seen big budgets evaporate and small budgets succeed. The reason is simply that with big budgets you don’t need to think and everyone has a say in it. Within the blink of an eye you’ll find armies of staff and consultants being “dedicated” to the task, holding meetings without end, doing studies, concepts, prototypes, status reports with lots of green icons, and in the end nothing has happened. Running on a small budget with clear goals however, there is really no other option than to be creative and cut through existing structures and thinking. Of course you have to do this really carefully, otherwise the small budget would signal that you are not serious about it. The best way is actually to reserve a big budget, but only for phase 2, which is after a successful proof of concept of the new MVP. Look at it as a startup: Start financing with seed capital, not the money to grow it big. However, once you see successful solutions (i.e. MVPs that work), you should get the big money out as quickly as possible. This entry was posted in Digital, Digital Innovation, Business Modelling, Strategy, Digital Transformation, Management and tagged digital strategy, transformation, strategy, change management. Bookmark the permalink.